Size: 6' 9" X 19" (32 Board Feet). Beautiful Bastogne Walnut is one of the rarest of all hardwoods. 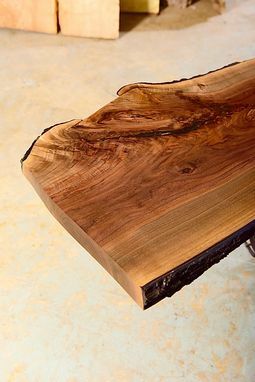 It is a mix between Claro and English Walnut, and is often used to make gun stocks due to of its strength and hardness. 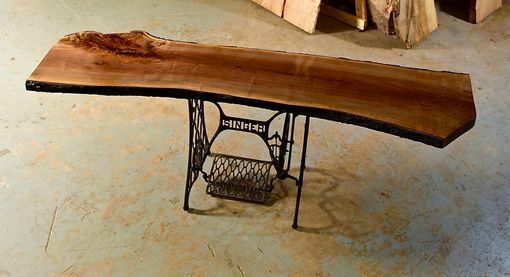 Peter realized how the bark edges where part of the life essence of this accent table and the effect it created is truly amazing. 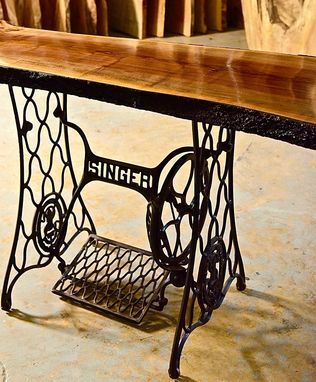 Made of iron, the Singer sewing machine base is both sturdy and heavy duty. It gives a beautiful support that will last forever and flows naturally with the inherent beauty of the wood grain. 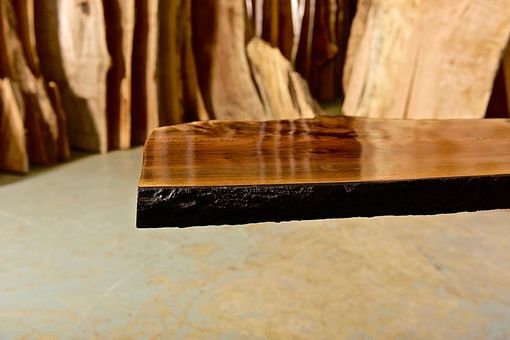 The finish is a polymerized Tung Oil that seals the wood and gives a hard, durable finish that is designed to never crack or peel.